If you’re shopping online and you’re looking for the best deals, eBay and Amazon are probably the first two e-commerce platforms that spring to mind. Amazon has a reputation for selling new products and usually tends to work in favor of larger brands and retailers, being a great marketplace for people to sell (and buy) solid private label items. On the other hand, eBay is best known for its auction-style listings, one of the best ways of getting rid of your old and vintage items. It’s basically the ultimate online garage sale. This doesn’t mean that eBay doesn’t sell brand new products, as over 80% of sales on eBay consist of brand new products, however, eBay has always been known for auction-style listings. 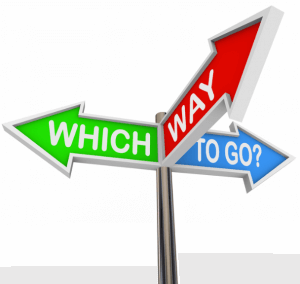 However, it mostly comes down to preference, or simply – the best price. If you’ve been shopping on eBay for the past 10 years, then the next time you’re looking at purchasing something online, your first choice will more than likely be eBay. And vice-versa, if you’re an avid Amazon shopper, then the next time you want to buy that brand new flat-screen TV online, Amazon will more than likely be your first choice. But from an online seller’s point of view, selling on eBay couldn’t be more different than selling on Amazon, and vice-versa. This is mainly due to the way that these two e-commerce platforms operate, and how their terms and policies work. First of all, let’s being with fees. It’s widely known that Amazon has slightly higher fees/commissions, even if you use FBA (Fulfillment by Amazon), a service which allows online sellers to keep their items in Amazon’s warehouse, and have Amazon take care of everything (shipping, handling, etc.). Second, we have the format of these listings. While eBay offers both fixed price and auction listings, Amazon doesn’t support auction-style listings. Stability. Online retailers rely on the stability of their chosen e-commerce platforms to operate smoothly. Changes cost time and money, and as such, sellers have developed systems that allow them to list, sell, and deliver items. When policies and rules change, or things don’t work, the systems break down and profit is lost. Even though Amazon has some restrictions, they generally stay the same, and are enforced consistently. Also, Amazon has had very few major changes in the past few years compared to eBay -and even those are fairly minor. eBay makes major changes almost every year, including fees, how the search engine works, the delivery of items, search results, Detailed Seller Ratings, Premium Badges and more. 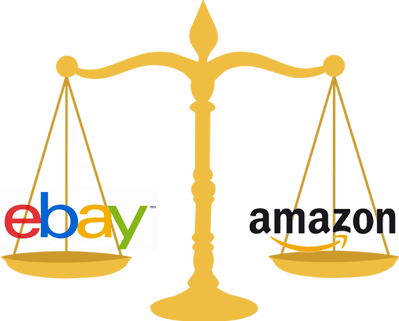 These constant changes can push some online sellers away from eBay’s platform. To sum it up, obviously, eBay is better at some things, while Amazon is better at others. However, if you’re an online seller and you list items on both eBay and Amazon, then you know how difficult it is to list and manage these items. Our critically acclaimed listing tool, Ad-Lister, is capable of listing thousands of products on both eBay and Amazon, at the same time, within a few clicks. It’s never been easier to list, manage, edit and sell your products on multiple e-commerce platforms, from one, easy-to-use interface. To find out more about our listing tool, or if you have any questions or enquiries, feel free to contact us at 0121 285 1052, or visit us at www.ad-lister.co.uk, and start a free 7-day trial today!